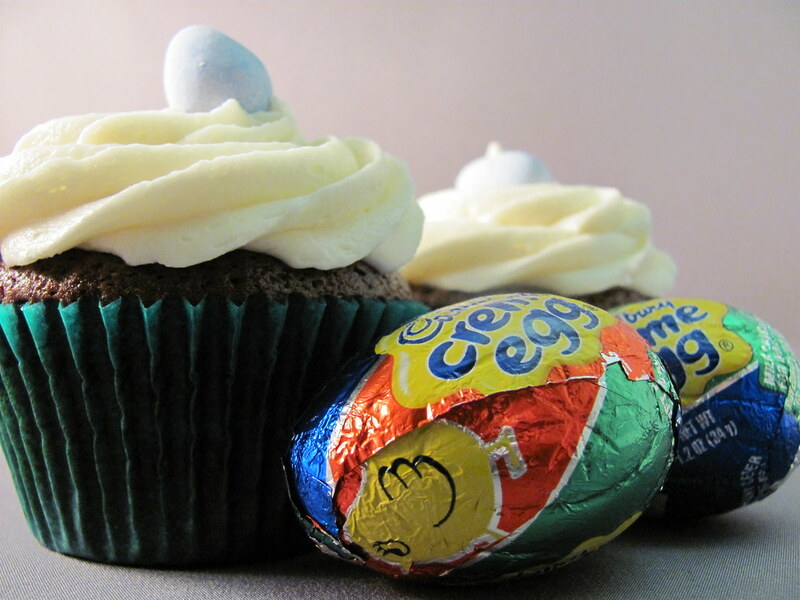 These Cadbury creme egg cupcakes are by Zoey Cakes in Baldwinsville, New York, via Flickr and Facebook. 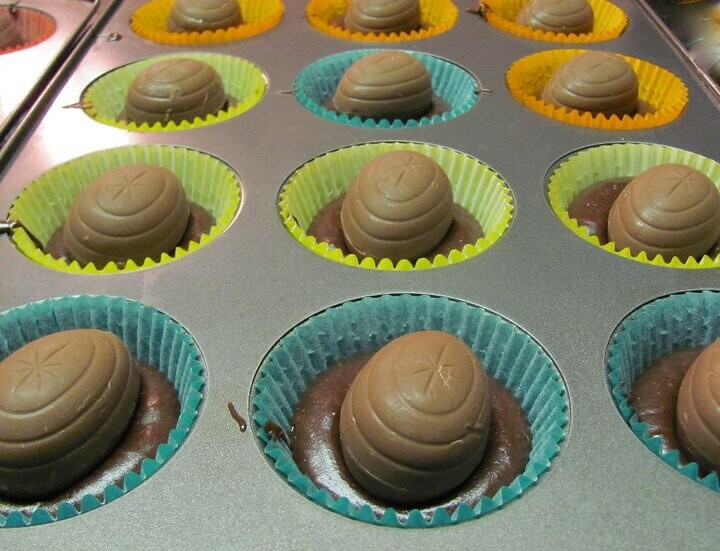 It's a chocolate cupcake, with a creme egg baked inside. 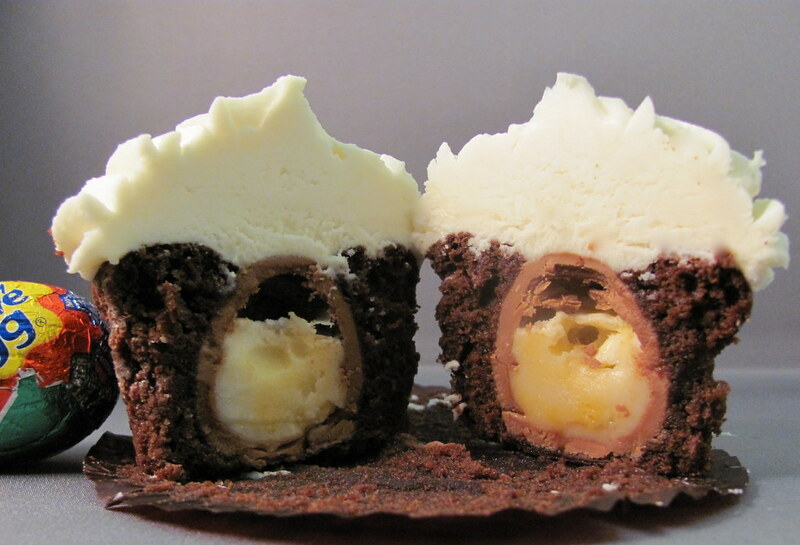 Frosted with a vanilla buttercream and topped with a mini egg. Find out more and order your own at www.zoeycakes.com and you can also visit them on Facebook. White cake, mixed with toffee bits. 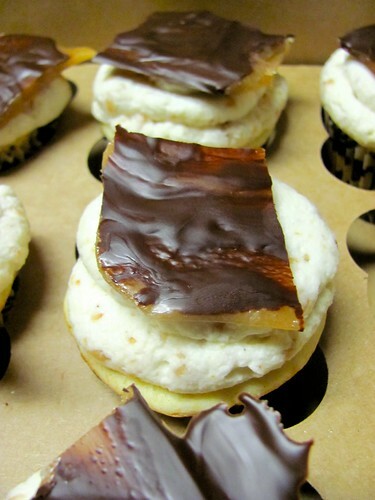 Frosted with a butter brickle whipped cream frosting and topped with a homemade piece of butter toffee.